I love to explore ideas in my acrylic paintings: objects that could be very old, sea-or-land scape that triggers a memory, or animals that I connect with. These remind me of what is true in life, or of how too-quickly our time passes. Some of those elements, when combined, suggest to me that a spirit of life dances through everything. This is what interests me. I have worked as a teacher of art as well as a visual artist in a variety of institutions for over 40 years. After you see this exhibition, I would be honoured if you viewed more of my art at www.christenesandesonart.ca. 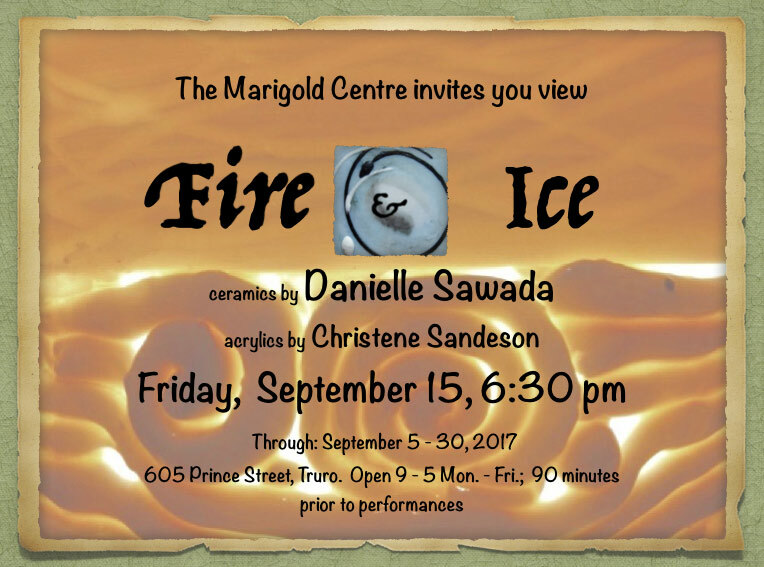 It has been a delight to discover in Danielle Sawada’s imagery some of those same thoughts, and it has been a real honour to be invited to show a few of my paintings with her Fire & Ice ceramics exhibition. Thank you Danielle; let us do this again!